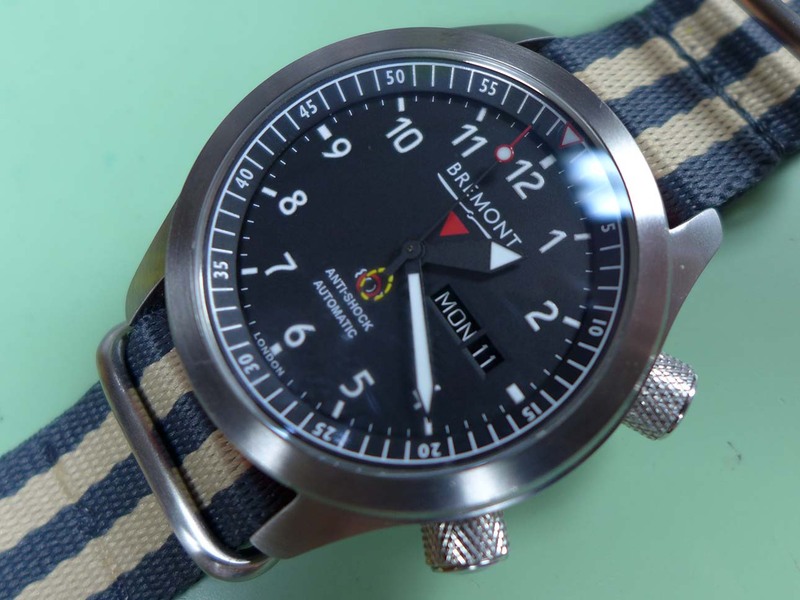 Bremont is a British company that makes excellent watches with some great designs but I’ve always had them down as a bit, I don’t know, gimmicky? By this I’m referring to their limited editions, some with bits of old aeroplanes and ships used in their construction and of course the seemingly limitless special projects for the armed forces. I have nothing against that per se but I didn’t really get it. 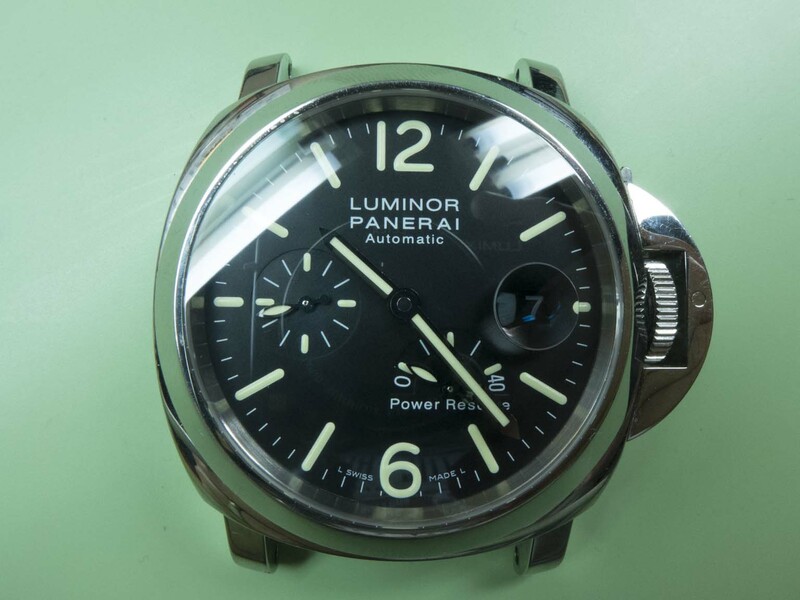 What I do get is the fact that they are bringing mass production and in house manufacturing of wristwatches back to the UK and that has to be applauded. Whilst not yet at the point where they produce their own movement they do a fantastic amount of their own manufacturing in the UK and an in house movement is well along the development path. When an opportunity to have a tour around Bremonts head office and assembly/service facility along with their manufacturing facility presented itself even though I didn’t “get it” I jumped at the chance! Bremont are situated a few miles from where I live and over the past few years I’ve watched them construct their purpose built head office, which they’ve now outgrown. They’ve now commissioned a state of the art production facility in the village where I grew up, this will bring all their production and assembly/servicing under one roof instead of being split across multiple sites as it is at present, and it’s due for completion in 2020 I believe. After seeing first hand Bremonts facilities and spending a few hours in the company of Nick at their head office and Giles at their case manufacturing facility I must say my perception of the Brand has changed. To see the passion the brothers have for doing what they do and the sheer attention to detail that is shown by all the members of staff I met was an eye opener. I now understand why they create all their special projects and why they are such a core part of their business, as I said previously I thought it was a bit gimmicky but it really fills a niche in the market that no other manufacturer has properly tapped into and I believe the brothers are doing this for the right reasons. Being shown around the assembly and service areas I had a big case of workshop envy, their workshop equipment is currently being completely upgraded and the investment must be massive. Seeing their case making and development facility first hand really blew me away! The accuracy of the machines that are used to produce and finish the cases is jaw dropping and I think Bremont are the only watchmaking company outside of Switzerland to have these German/Japanese machines. I’ve serviced a few calibre 12 Heuers but have never posted about one yet (although I have posted about a Thermidor which used a calibre 12 Kelek movement), so when this one came in I made a mental note to do so. This Electronic Seiko from October 1969 came in for some tender loving care recently. 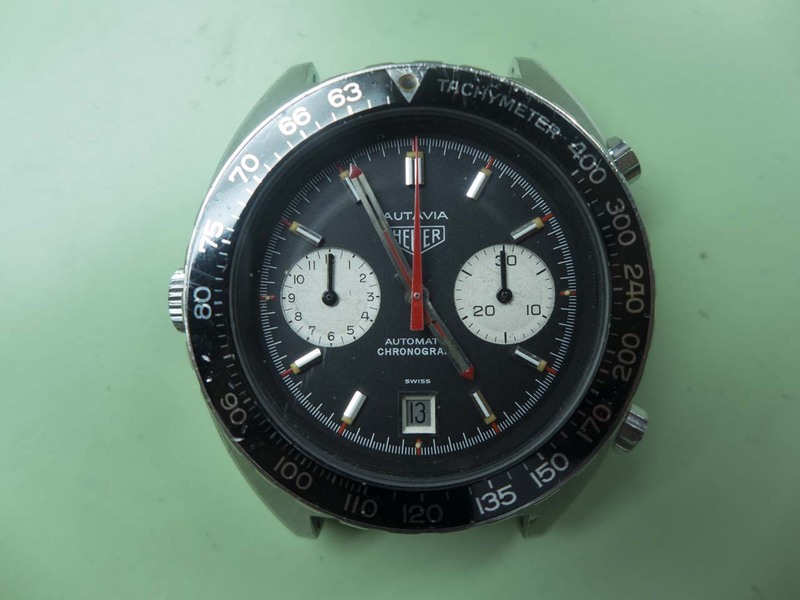 Electronic watches had been around for quite a while by the time Seiko released their first Electronic watch, Hamilton, LIP and Bulova were a few of the other major manufacturers from that period. However, Citizen’s X-8 Cosmotron of 1966 is generally accepted as the first commercially successful electronic movement that was regulated by a balance wheel. 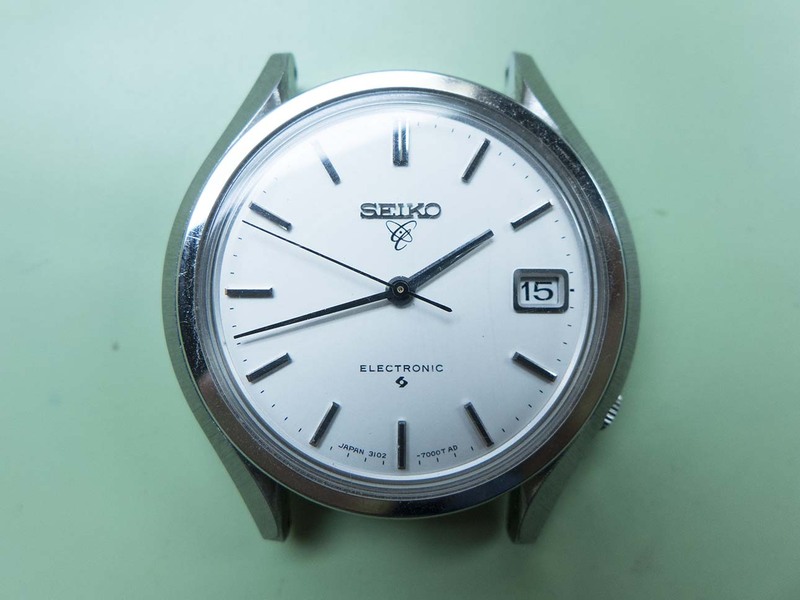 Seiko responded with the calibre 31xx in 1967 followed by the calibre 37xx in 1969, the 32xx and 33xx in 1972, and the calibre 07 Elnix series in 1973/4. 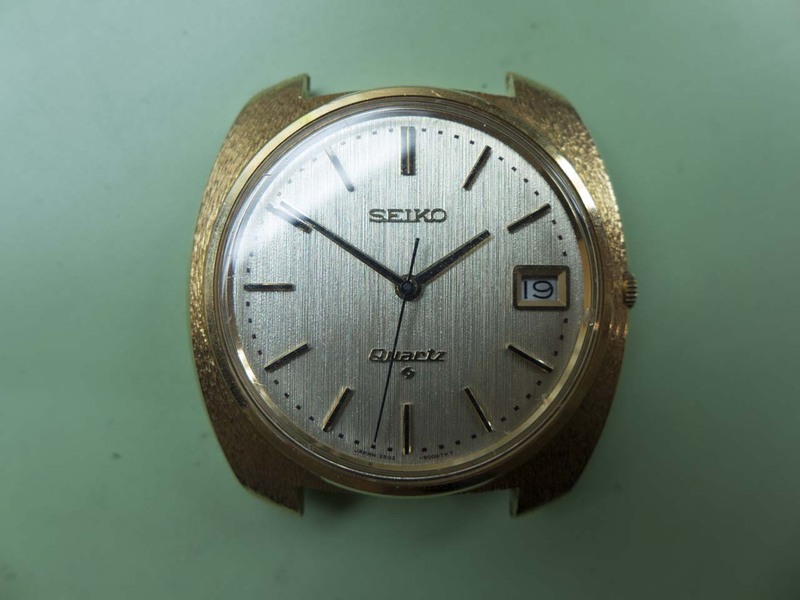 Japanese electronic watch production was short lived due to the rapid development and falling costs of quartz production of which Seiko was first to market with in 1969 with the calibre 35 Astron. The 3102-7000 “Electronic” featured here came in with problems to the running and quick setting of the movement, you can see in the opening photograph the minute and hour hand are out of sync. This post is just a short update to a watch that was on the bench earlier this year, namely an Astron 35-9000 date. Apologies for the lack of updates (I seem to be saying this everytime I post something! ), this is solely due to the volume of work that keeps coming in. I have a huge backlog of work that I think you’d find interesting so I’m making a concerted effort to pull my finger out and get posting again starting with this gorgeous Laurel from (we think) 1915. I say we think because I’m assuming Seikosha was using the same dating system back then as they do today which would mean this was produced in August 1915. This may not be correct but it would fit with what we know about the history of the model, the Laurel was the first wristwatch Seikosha ever produced and production began in 1913 pretty much straight after they had started producing enamel dials in house. The first Seikosha wristwatch with Seiko branding on the dial came in 1924 and was smaller in diameter at 24.5mm. 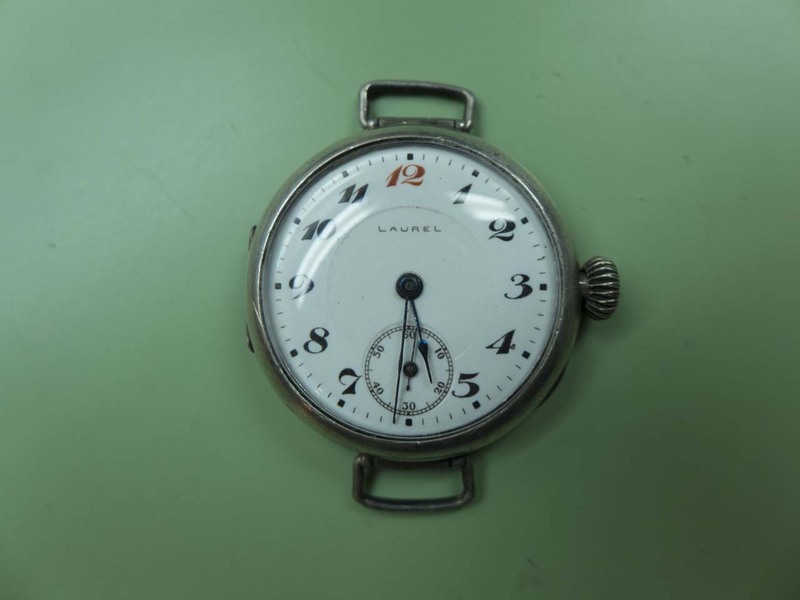 The Laurel is 29.5mm in diameter with a 12 ligne movement which is small by today’s standards but back in those days it was a generous size for a gents watch.